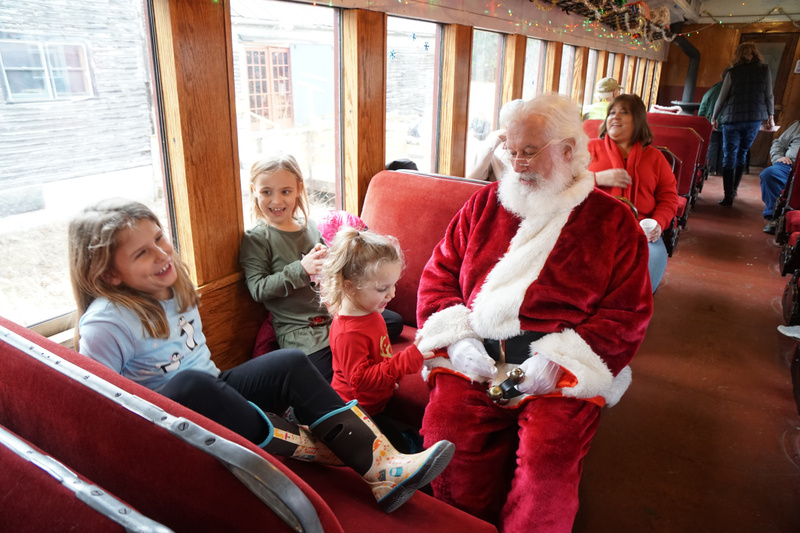 From left, Farrah Faulkingham, 8, Paige Gatchell, 7, and Melody Milliken, 2, all of Monroe, have fun with Santa Claus on Saturday on the Belfast and Moosehead Lake Railroad's Snowbird Express train ride. 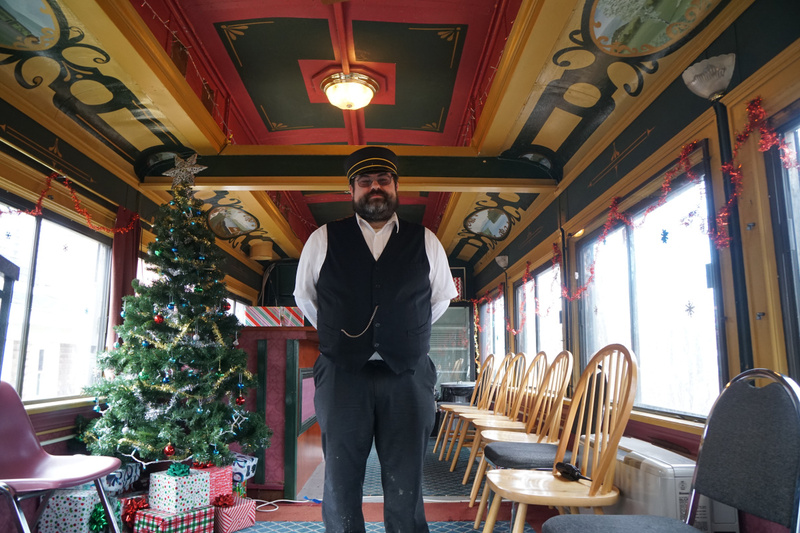 Joey Kelley, pictured in a train car dating to around 1918, was the conductor of Santa's Snowbird Express train on Saturday afternoon.  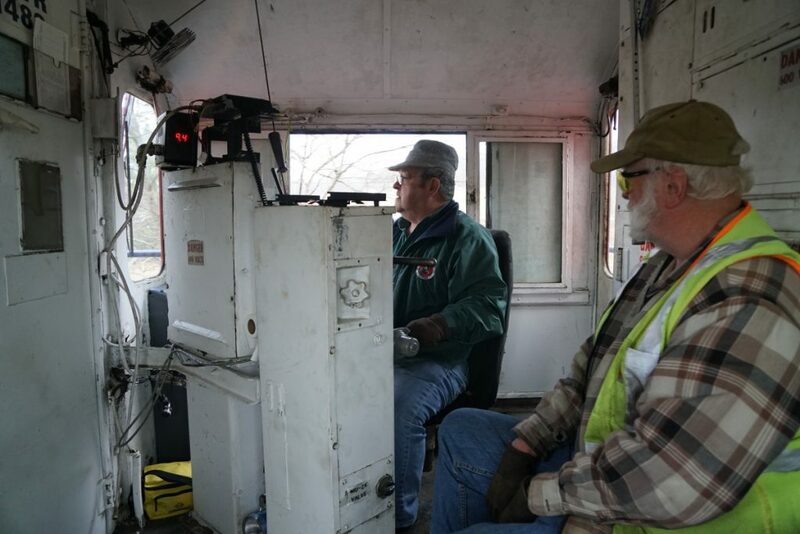 Kelley penned a book on the history of the Belfast and Moosehead Lake Railroad. 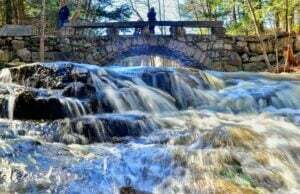 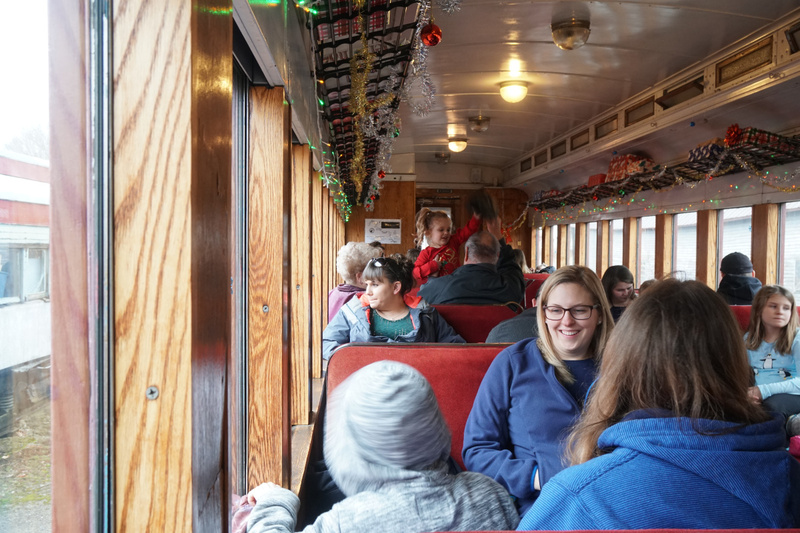 Passengers on Santa Claus's Snowbird Express enjoy each other's company Saturday after eating lunch at the Farwell Brothers Mill and Store in Thorndike Village. 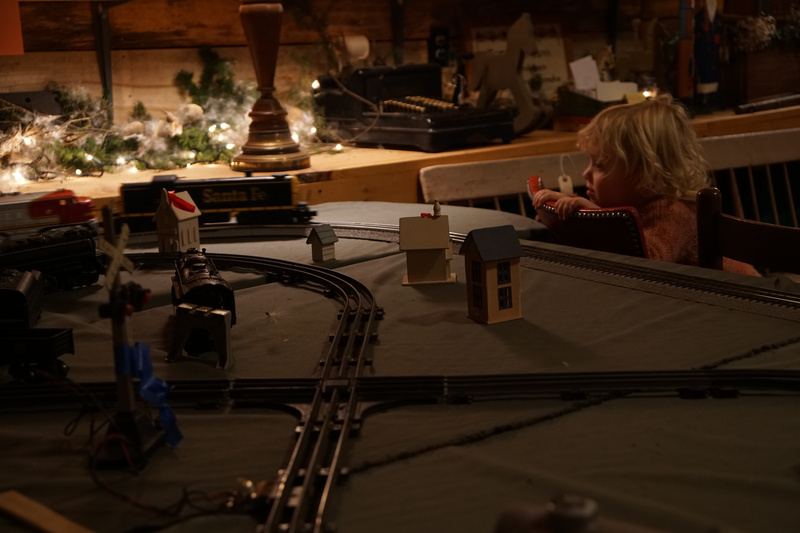 Two-year old Gloria Yorks-Christle, of Frankfort, observes a model train in the Farwell Brothers Mill and Store in Thorndike Village on Saturday. The shop served as the halfway point on Santa's Snowbird Express ride, where passengers de-trained to eat lunch. 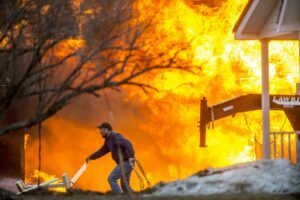 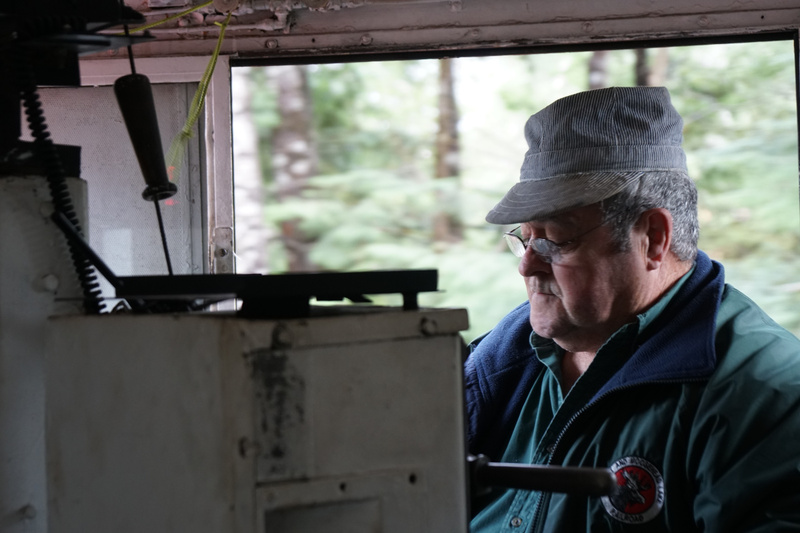 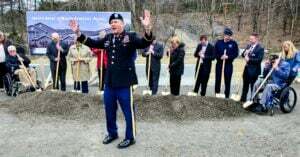 Pete Reny, engineer, at the helm of the Belfast and Moosehead Lake Railroad's Snowbird Express train on Saturday, has been a railroad employee for 52 years. Pete Reny, left, and Harvey Magnusson operate Santa Claus' Snowbird Express train Saturday afternoon on the Belfast and Moosehead Lake Railroad.